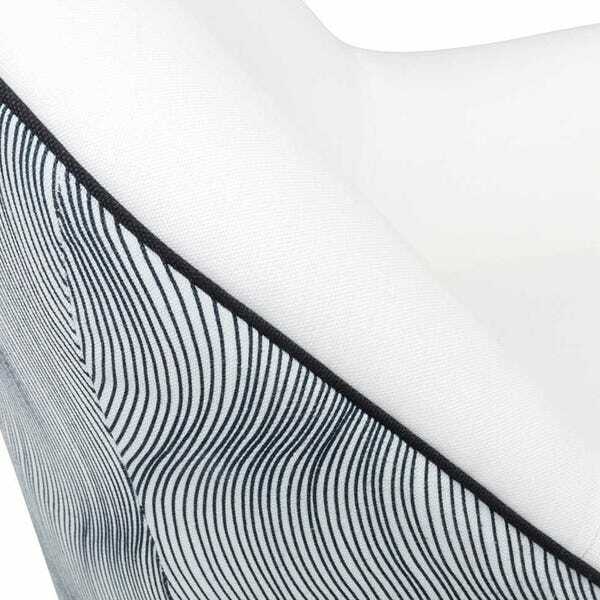 AS SHOWN alongside other Halliday products, shop the look further down the page. 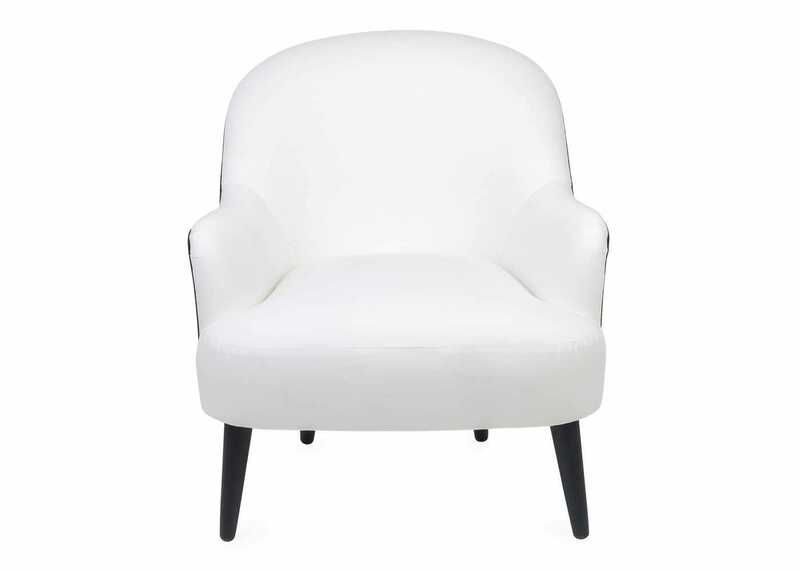 A perfectly proportioned accent chair, the Elgin resonates classic design with a soft rounded back, tapered legs and elegant arms. 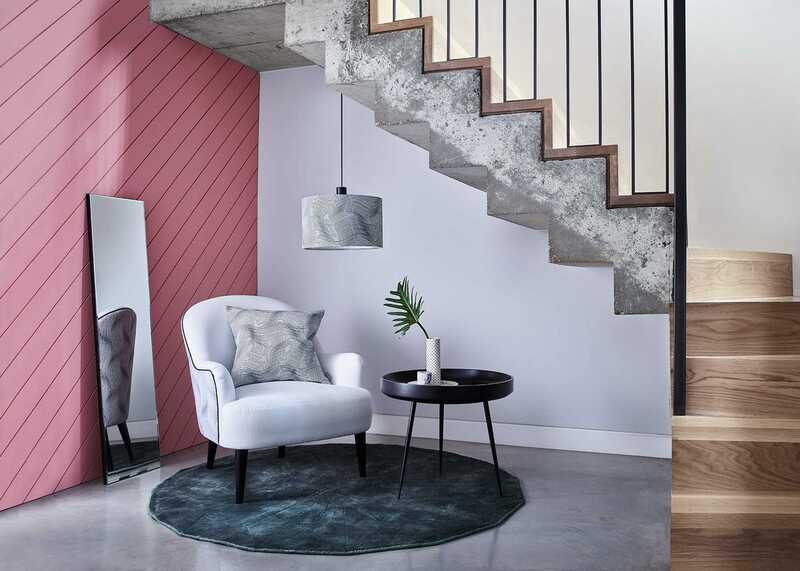 Following on from the success of Myer Halliday's monochromatic range in Spring 17, we investigated ways to develop his signature style across other product ranges. 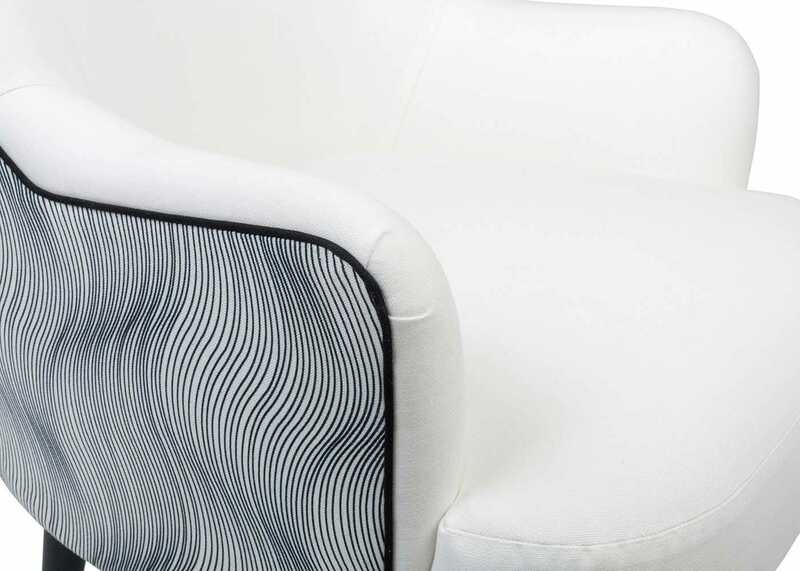 Upholstered with a subtle Snowdrop Linen-Cotton for the seat, Halliday's print then adds wow factor by wrapping around the back of the chair. 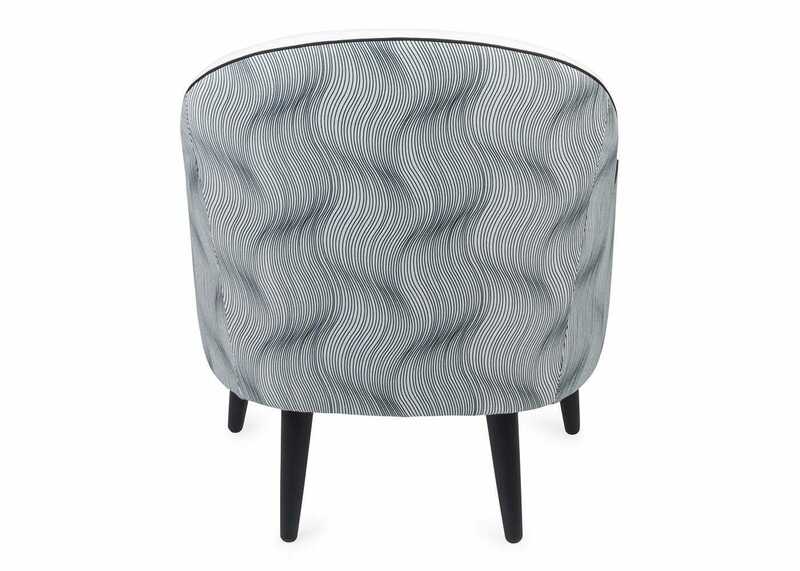 Capturing mid-century influences, Myer's illustrative touch echoes the artisanal qualities of modern day design. 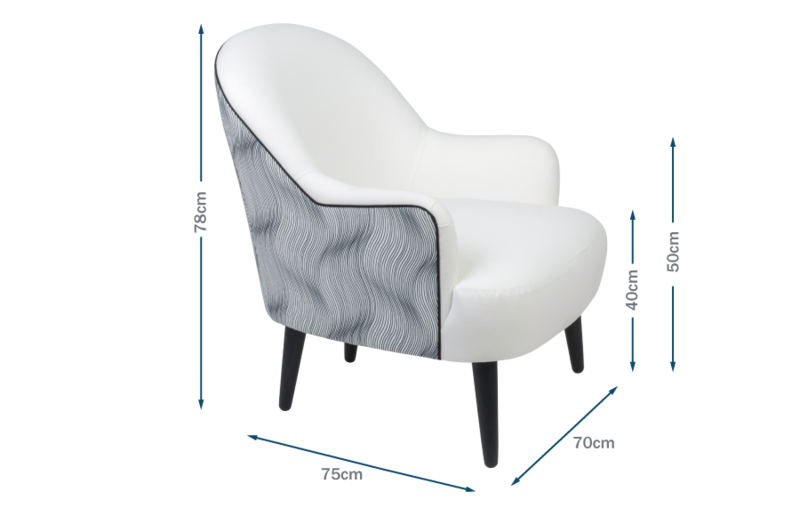 Designed to hug the user, the chair is perfectly placed in the living room or bedroom, especially when paired with other Halliday items. 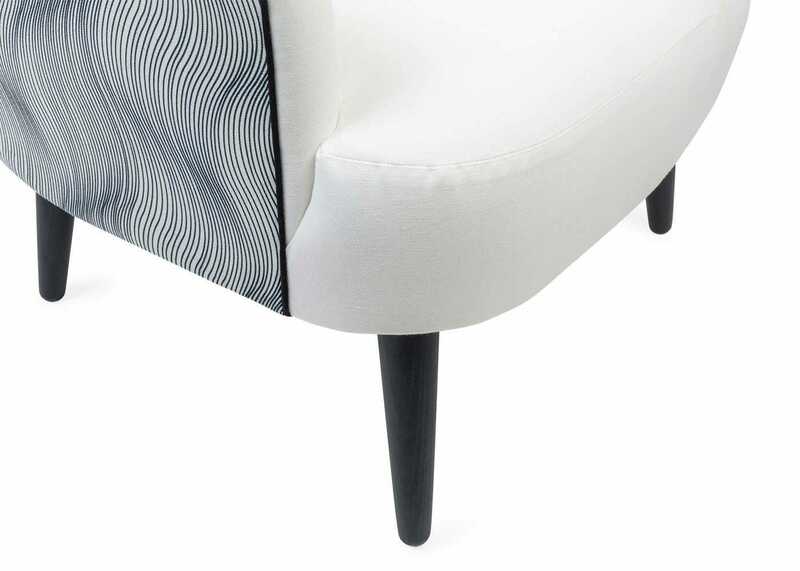 Beautifully upholstered in Capelo Linen-Cotton Snowdrop and Myer Halliday's wave print, framed with a curvaceous black seam. 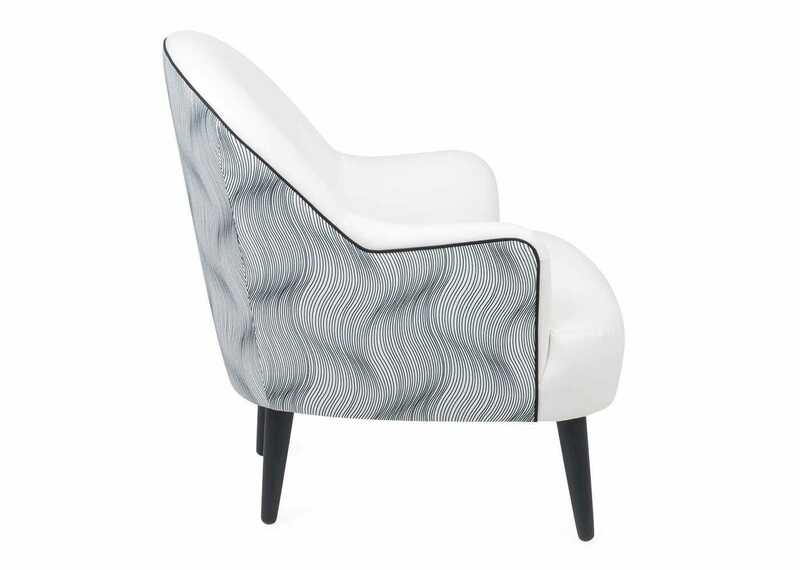 perfect for coordinating with any interior style. 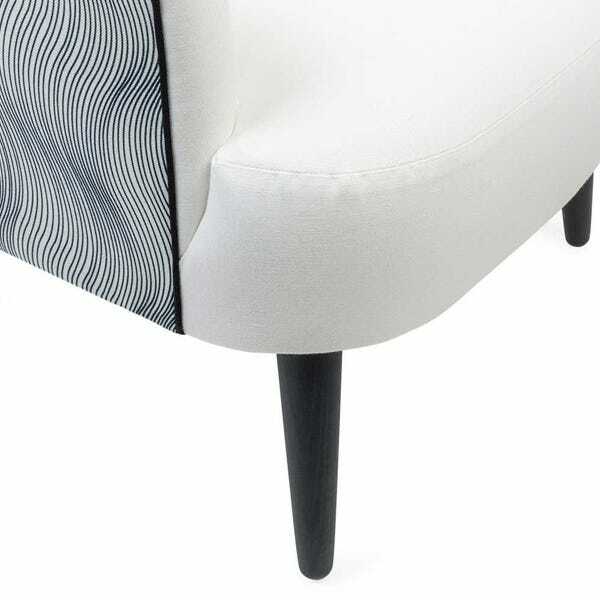 Tapered legs a mid-century touch to the elegant chair. 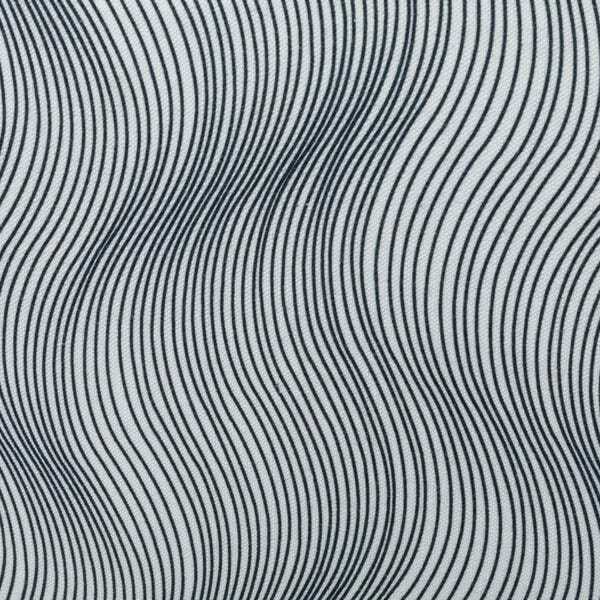 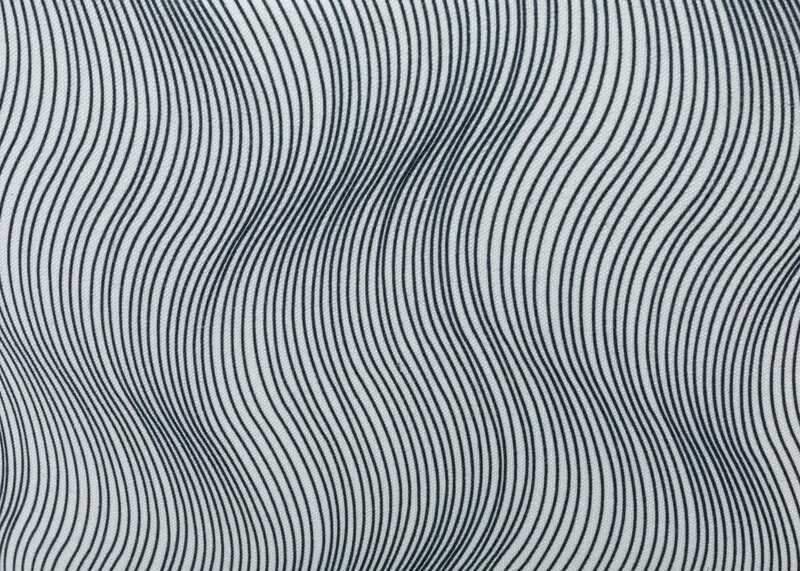 Myer Halliday's wave print, also available across a range of matching products. 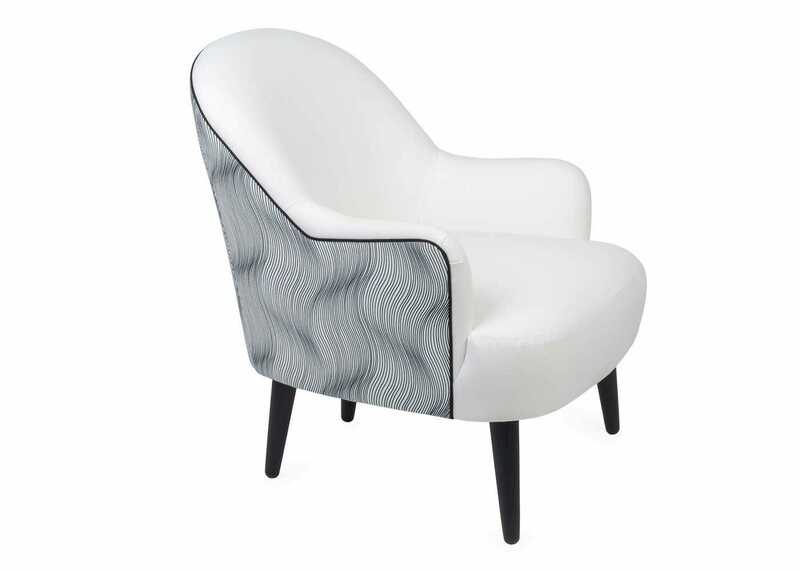 A prominent black seam follows the silhouette of the chair, highlighting the curvaceous shape. 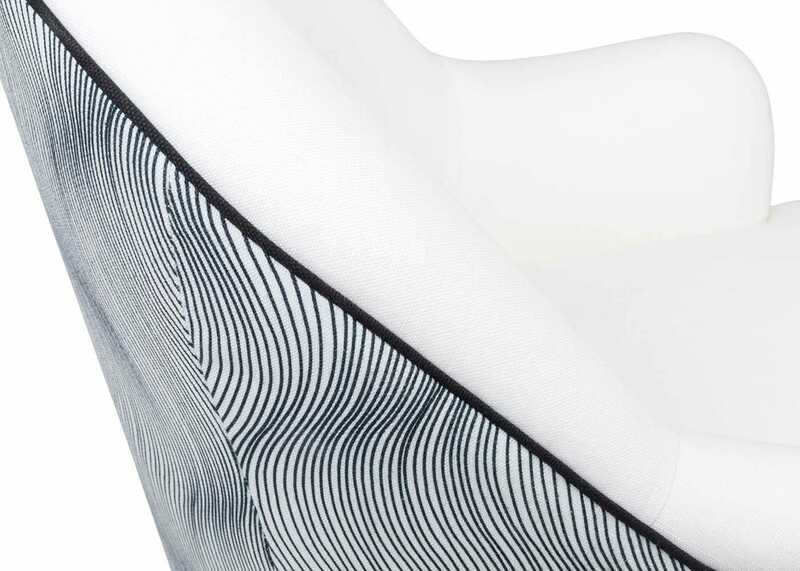 Myer Halliday Wave print and Capelo Linen-Cotton Snowdrop.